What is Angular 1 ? Angular 2.0 was released by the Google’s Angular team in 2016 as a complete makeover of the original Angular 1 framework. The Developer Preview was released in April 2015 and it moved to Beta in Dec 2015. The final version was released on Sept 14, 2016. The whole concept of application structure has changed in Angular 2.0. It’s a complete rewrite of the original framework that is designed to simplify testing and development nuances for developers. One of the major changes in the Angular 2.0 is that it’s written entirely in TypeScript and is component-based. Suffice to say, Angular 2.0 is all about components. It’s more like a hierarchical structure of components minus the inter-dependability, which means the components are not dependent on each other. 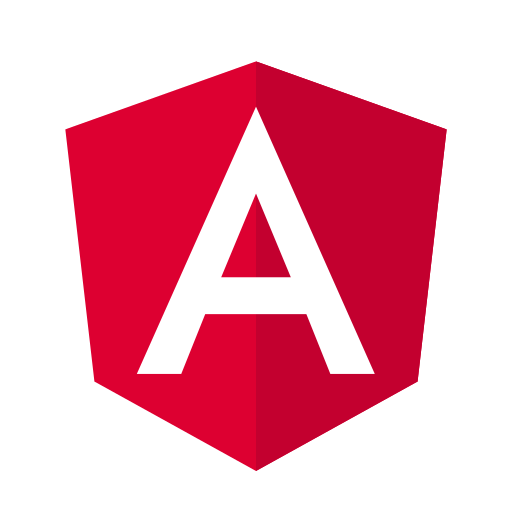 In short, Angular 2.0 is a TypeScript-based front-end web application designed to provide a much richer development ecosystem. Angular 2.0 is a complete rewrite of the original AngularJS with an entirely different architecture from its predecessor. Unlike AngularJS, which is based on model-view-controller (MVC), Angular 2.0 is entirely component-based meaning the application is composed of well encapsulated, loosely coupled components. They would create less dependent and faster entities. Controllers were a cornerstone of AngularJS which would accept $scope as a parameter. They are one of the key components in the MVC architecture of AngularJS. However, controllers are a thing of the past in Angular 2.0. Controllers and $scope are no longer used in application development, instead they are replaced by components and directives. The idea is to create a tree of components that would implement clearly defined inputs and outputs. AngularJS was designed taking mobile into consideration but not without its fair share of performance issues. It was made for two way binding app and responsiveness, with no support for mobile. However, there are libraries to make it run on mobile. Angular 2.0, on the other hand, is designed with mobility driven approach which would simplify the mobile app development for AngularJS. It has made possible to accomplish native applications for mobile platforms. There are libraries like NativeScript which would help Angular build native mobile applications really fast and efficiently. The fact that Angular 2.0 is a complete rewrite of the original AngularJS version, the performance issues were mostly eliminated in the Angular 2.0. It features powerful template, simpler APIs, and simpler debugging, along with the architectural changes which in turn improves performance dramatically. Plus, it’s now able to build SEO-friendly single page applications which were a bottleneck in the previous Angular version. Dependency Injection (DI) is one of the most important features in AngularJS which helps create objects that are dependent on other objects. The dependency injection model is further improved in Angular 2.0 to make it simpler for developers to build and test web applications more efficiently than before. 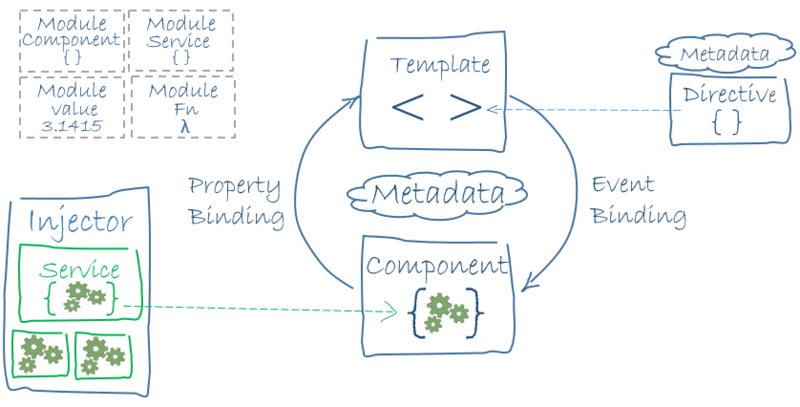 The improved DI model would generate more opportunities for component-based work in Angular 2.0. Sagar Khillar. 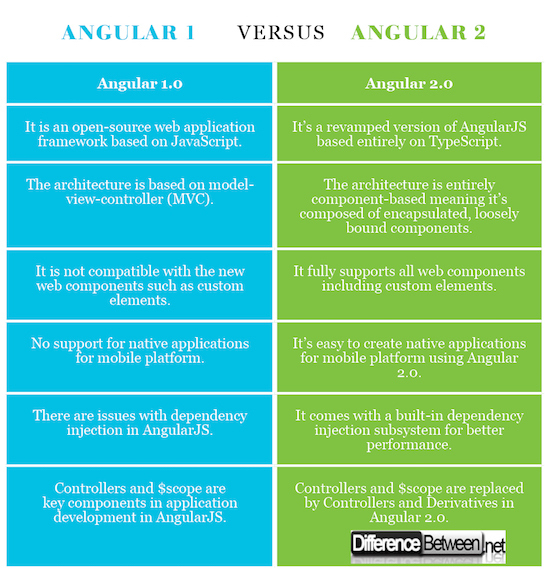 "Difference Between Angular 1 and Angular 2." DifferenceBetween.net. March 26, 2018 < http://www.differencebetween.net/technology/difference-between-angular-1-and-angular-2/ >.